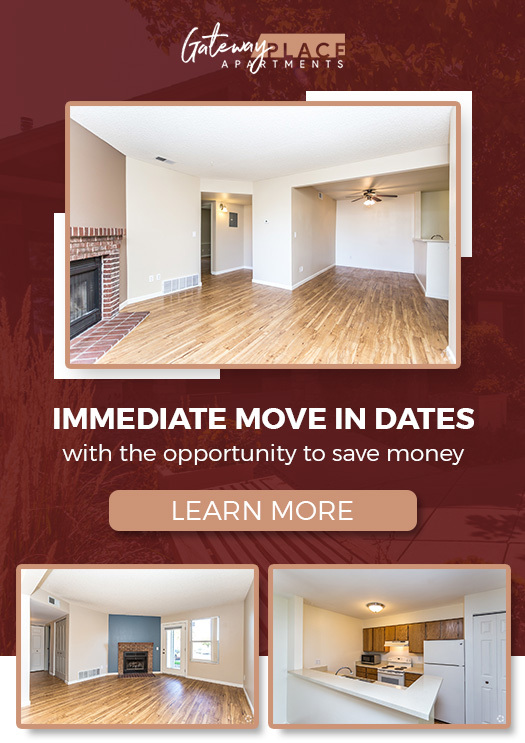 Whether you’re a current student at the University of Northern Colorado or just want a smaller living space in retirement, it can be difficult to find an affordable apartment. It’s easy to search for hours on end and still not have any real prospects. There is good news, though! 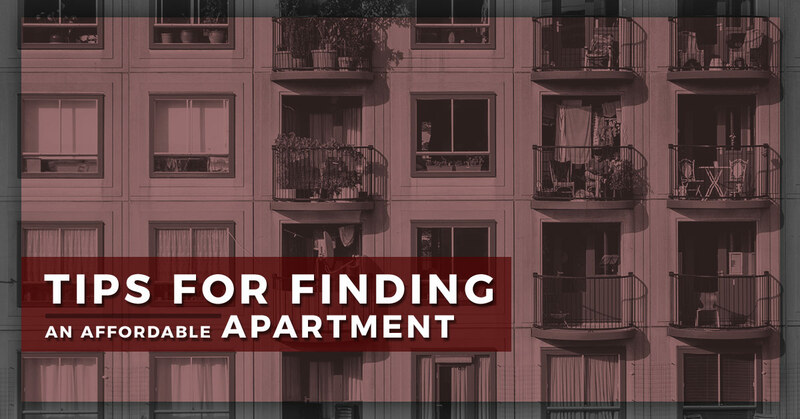 By taking the right steps ahead of time, you can make the apartment search less of a headache. Here are five tips to consider as you get started. Looking for a New Place to Call Home? Contact Us Today! Get roommates – Rent continues to increase across Colorado. Unless you live under a rock, you’ve probably known that for quite some time. In Northern Colorado specifically, monthly rent for nice one-bedroom apartments is approaching $1,300 or more. Here’s the deal: you’re much more likely to find an affordable place for rent on a combined income. That’s why we recommend biting the bullet for now and getting a roommate. The two of you could split the cost of a two-bedroom, two-bathroom place and save hundreds of dollars a month. Avoid popular moving times – Greeley is a college town. Not surprisingly, rent prices go up a few weeks before students go back to class. That’s why it’s a good idea to speak with landlords during the quieter times of the year. Keep in mind that landlords are more likely to provide deals on rent when there are fewer people seeking occupancy. Think about brand new properties – Many prospective renters assume that a brand new apartment complex equates to high rent prices. However, some of these properties offer the first month’s rent free to all of their new tenants. Would such a discount make the unit an affordable option? It’s certainly worth some thought. Jump on a place you like – Let’s say that you’re planning to look at five apartment complexes over the course of a week. The first one has everything you could imagine and more. 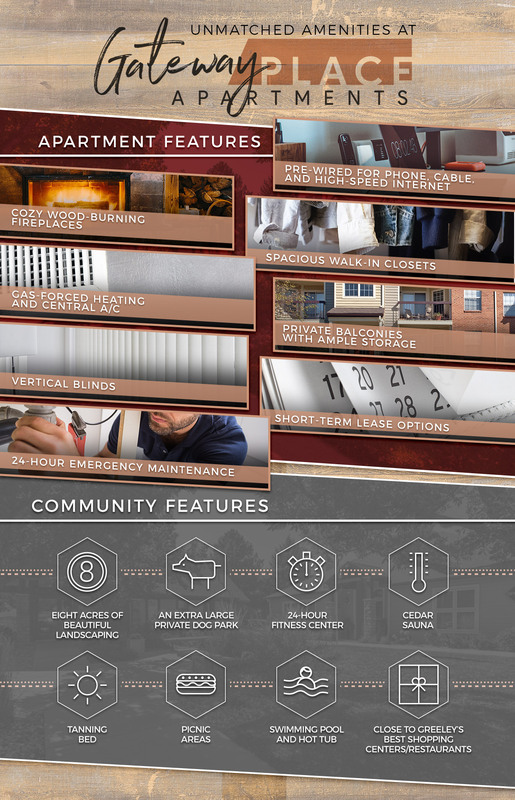 We’re talking about unit amenities such as a patio, walk-in closet, and vertical blinds. Then there are the community features such as a dog park, fitness center, and sauna. As weird as it may seem to take the leap on the very first apartment you look at, fill out the application right then and there. The last thing you want is for the apartment of your dreams to get away. How would you like to live where you already eat, shop, and play? We want to welcome you home to Gateway Place Apartments in Greeley! Our one and two-bedroom apartments feature everything from fireplaces and extra storage to washers/dryers and skylights. Maybe you consider yourself a pet lover. If so, then Gateway Place is the apartment complex for you. Not only are residents allowed two pets per apartment, but we also have an extra large dog park for the four-legged friend in your life. Let us help you find a place for rent that’s within your budget. Contact us today to also ask about short-term lease apartments.